This is the recipe for an outstanding Tex-Mex style smothered beef and bean burrito. What makes this a standout burrito, is the fact that it is smothered with a poblano chili cheese sauce that really tastes great. The video shows all of the necessary ingredients to put together this outstanding burrito recipe. 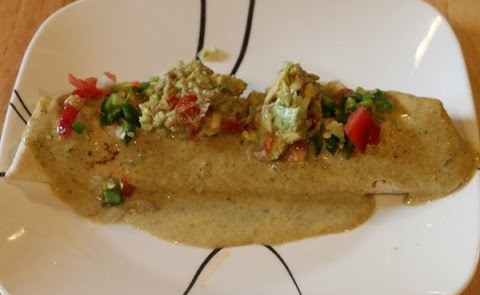 The Bald Chef will show you step-by-step how to prepare and cook this amazing burrito. If you’re looking to make this burrito recipe you may want to look at the following links which show you how to make Mexican-style refried beans, guacamole, and pico de gallo. 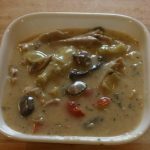 I have videos showing how to prepare all of the accoutrements that are used in the preparation of this dish.